We have provided a list of definitions to terms we often use in The Thrive Group therapy clinic. This is for your reference so that you may be able to further understand what is going on with you or your child. Also called self-help or self-care activities. These activities can include everyday tasks such as dressing, self-feeding, bathing, laundry, and / or meal preparation. Attention-deficit/hyperactivity disorder (ADHD) is a disorder marked by an ongoing pattern of inattention and/or hyperactivity-impulsivity that interferes with functioning or development. -Symptoms that typically are recognized in the first two years of life. This refers to one’s ability to visually discriminate, recognize, and identify labels for body parts, including their location, how they move, and how they relate to one another. The emergence of body awareness typically precedes spatial awareness. Reacting to a stimulus similar to reacting to pain. Straightening of the joints or moving away from the body. The skilled use of one’s hands. It is the ability to move the hands and fingers in a smooth, precise and controlled manner. Fine motor control is essential for efficient handling of classroom tools and materials. It may also be referred to as dexterity. The bending of the joints or coming towards the body. Hyperactivity causes a person to move about constantly, excessively fidget, tap on objects, or talk constantly. A person that wanders off task, lacks persistence, has difficulty sustaining focus, and is disorganized; and these problems are not due to defiance or lack of comprehension. The act of being able to integrate or bring together sensory, motor, cognitive and emotional functions in a useful, functional level of performance. Normal muscle tone allows us to keep our bodies erect when sitting or standing. The lack of supportive muscle tone, usually with increased mobility at the joints; the person with low tone has limbs that are floppy, muscles may feel doughy, and have awkward movement patterns. This results in poor ability to act in a sustained state of alert performance. Using sensation to sleep, listen, etc. The act or process of planning and arranging the different parts of an event or activity. The ability to interact successfully with the physical environment; to plan, organize, and carry out a sequence of unfamiliar actions; and to do what one intends, wants, and needs to do in an efficient, satisfying manner. The unconscious awareness of sensation coming from one’s joints, muscles, tendons, and ligaments. This underlies one’s ability to place body parts in a position in space and to grade movements (i.e. the ability to judge direction of force and pressure). The ability to know where you’ve been touched or that you’ve been touched. The use of neurodevelopmental movement and other tools to develop and mature the body’s reflexes for optimal functioning. 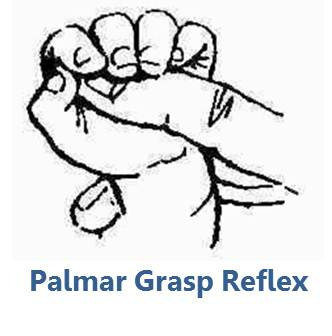 See below for specific reflex patterns of normal development. The brain’s ability to absorb information from our senses, organize it, and respond appropriately. In essence, it is the organization of the senses that provide each of us with an understanding of ourselves and the world. See my blog post on Sensory Integration. When one or more of the body’s senses experiences over-stimulation from the environment. There are many environmental elements that impact an individual. Examples are urbanization, crowding, noise, mass media, technology, and the explosive growth of information. This refers to being able to locate and understand where one’s body is in space, including in reference to other objects. Key words utilized in describing spatial relations include: above, below, to the right of, and to the left of. Information taken into the body through the sense of touch. Can be through deep pressure receptors or light pressure receptors. An unusual or increased sensitivity to touch that makes the person feel peculiar, noxious, or even in pain. Tactile sensitivity can run from mild to severe. It is caused by the way the brain processes tactile input. The act of drawing or pulling and relates to forces applied to the body to stretch a given part or to separate two or more parts. Transitions or movements occur throughout an individual’s life. Each person navigates through different life stages, settings, and situations. The vestibular system tells us how our body moves and experiences movement. There are two subtypes: (1) how the head alone experiences sensation and (2) how both the body and head experience sensation together. The vestibular system contributes to the sense of balance, head control, muscle tone, visual perception, how well eyes work together, and level of alertness. Reflexes are an integral part of growth and development. They are automatic and involuntary responses to stimulation, and their purpose is for protection and survival. Their integration is essential for a child to develop higher level skills and explore the environment. When they persist, the body goes into a stage of protection and survival, which can cause a number of delays in children such as maintaining and upright posture, learning, attention, coordination, fine motor skills, and challenging behaviors. extended or held straight out, and the arm and leg on the opposite side are flexed or bent at the joint. When an infant’s fingers close around an object when it is placed in their hand or strokes their palm. This occurs when an infant’s head drops backwards and he/she has the sensation of the head not being supported, he/she responds with inhaling and spreading out his/her arms and legs. Afterwards, he/she should recover by exhaling (often with a cry) and pulling his/her arms and legs towards his/her body. 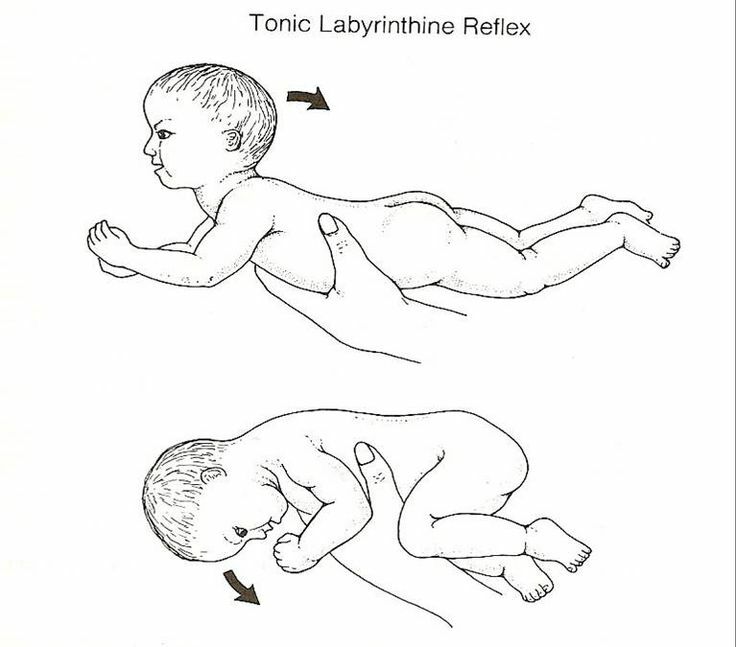 When an infant curves their hip away from the side that is being stroked, which shortens their waist on the side being stroked. 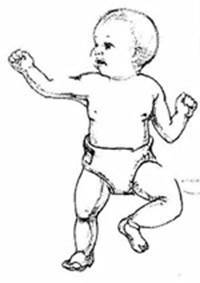 When an infant flexes the head forward, the arms will flex, and the legs will straighten. 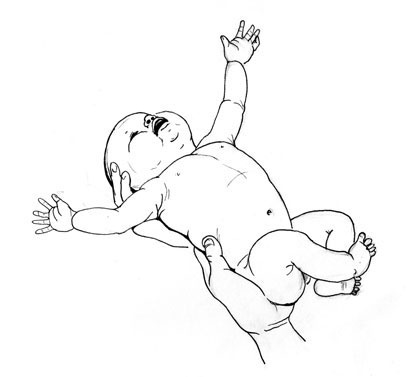 In contrast, when you extend the infant’s head backwards, their arms will extend, and the legs will bend. When an infant’s head is tilted back while lying on the back, their backs will arch, and the legs and arms will straighten and become stiff. In contrast, when the head is tilted forward, the arms and legs will flex or come together towards the body. 1. Manela, M. (2014). The Parent-Child Dance: A guide to help you understand and shape your child’s behavior. Passaic, NJ: OT Thrive Publishing. 4. Manela, M. (2016). An in depth view of the nervous system [Powerpoint slides]. 7. Agin, M. C., Geng, L. F., & Nicholl, M. (2004). The late talker: What to do if your child isn’t talking yet. New York City, NY: St. Martin’s Griffin. 8. Grandin, Temple. (1992).Calming Effects of Deep Touch Pressure in Patients with Autistic Disorder, College Students, and Animals. Journal of Child and Adolescent Psychopharmacology. Volume 2, Inc. Publisher. 22. O’Brien, J. (2015). Application of Motor Control/Motor Learning to Practice. In Case-Smith, J. & Clifford O’Brien, J. (7th ed. ), Occupational therapy for Children and Adolescents (193-219). St. Louis, MO: Elsevier Mosby. 23. Kramer, P. & Hinojosa, J. (2010). Frames of References for Pediatric Occupational Therapy (3rd ed.). Baltimore, MD: Lippincott Williams & Wilkins.